Cute and cheerful Christmas reindeer. 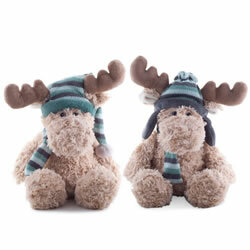 Light brown with large antlers and blue hats! Can be used as a plush decoration or as a soft toy, a great gift idea.